Damen Dredging Equipment has launched a new DOP Dredger Series following the success of the DOP submersible dredge pump, which has proved its versatility across the globe. Damen has built more than 20 DOP dredgers on a one-off basis and at least 380 DOP pumps. The DOP submersible dredge pump has been such a great success over the last 25 years because of its simple concept, which is based on a well-proven dredge pump, directly driven by a hydraulic or electric motor, assembled in a rigid housing with the ability to attach all kinds of specialised suction devices, such as mining heads or cutter units. Moreover, the DOP can easily be connected to excavators, cranes, etc. The new Damen DOP Dredger Series makes use of the standard DOP 150, 200, 250 and 350, which have a mixture capacity ranging from 600m3/h to 2,400 m3/h. 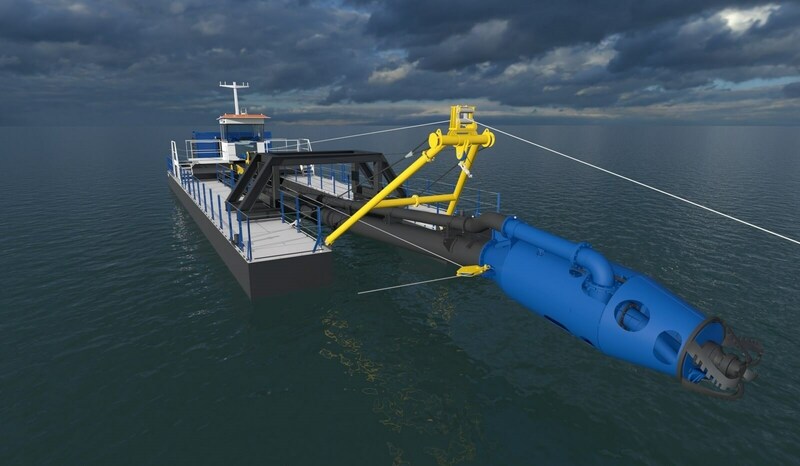 Due to the use of a submerged dredge pump, the DOP Dredger is simply able to reach depths other dredgers cannot, with an ability to dredge to 100 m. Damen is also introducing an all-electric version of the DOP Dredger, which is particularly appealing for maintenance dredging at hydroelectric dams. 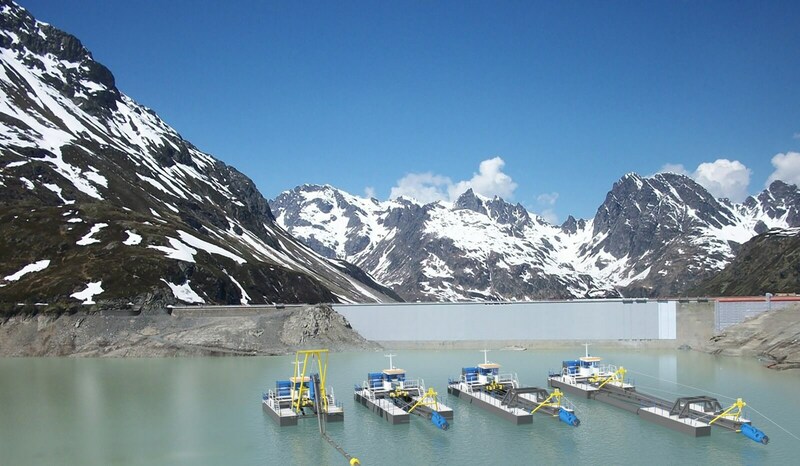 Often projects are taking place in very remote areas, Mr Marcus adds, in the case of hydroelectric dams, high up in the mountains where road access is not easy. Here, the DOP Dredger is ideal because it is easily dismountable and transportable because even its largest components are never bigger than a standard container size. It also has a limited weight, so can be assembled with a small crane. It is also possible to change the suction head depending on the project, giving a lot of flexibility, he points out. For example for compact material, a cutter can be installed, or a water injection head to boost production in free flowing sand.